Avid Reader's Musings: Classics Club Readathon! A nice selection :) Good luck! Persuasion is my favourite Jane Austen. Have a lovely reading day! I grabbed the same Williams play, courtesy of this post. :) Hope the reading is going well! I've also succumbed to an afternoon snooze mid-chapter! Good luck for the second half of the 'thon. Thanks for the encouragement guys! I wish I could have read for longer, but it was fun! The readathon was great, thanks for hosting! Congrats on this! 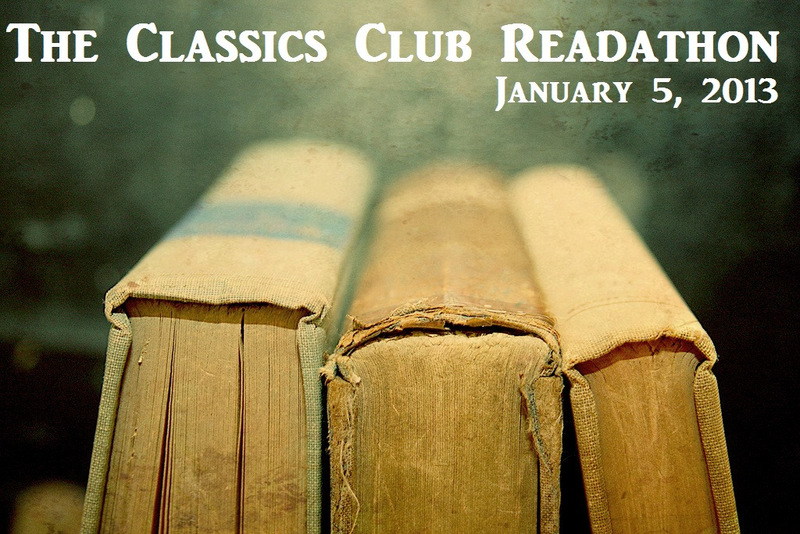 What other classics are you hoping to read this year? ANy suitable for a readalong? I'm always up for anything on the 1001 Books Before Dying list. Cassandra - I'm glad you enjoyed it! I hope we do it again next year. Care - I really want to read Dombey and Son this year and Trish and I are hosting a readalong of Vanity Fair starting mid-February! You and I should pick one from the 1,001 Books List and do a readalong!